﻿ Will Ronaldo leave Real Madrid this summer? 12.06.2018 » Will Ronaldo leave Real Madrid this summer? On Saturday, 26th May, Real Madrid won their third consecutive Champions League finals with a 3-1 win over Liverpool, showing that they are without a doubt one of the top teams in Europe. The celebrations were plentiful, but aside from the epic performance throughout the competition, the events of the final were overshadowed by everyone’s favourite Portuguese footballer. It was Ronaldo who once again stole the show, this time with a couple of casual comments that stirred up speculation as to his future. Ronaldo didn’t manage a goal in the Champions League final, but he did finish the competition as the top goalscorer. 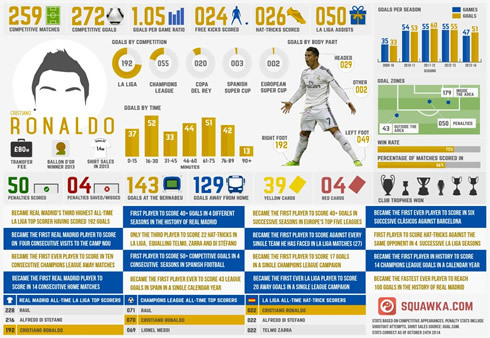 He played a settled season with Real Madrid, but his comments suggested that he is anything but settled. Word on the street is that Ronaldo might be leaving Madrid this summer. The speculation arose after a string of events unfolded involving comments from Ronaldo, actions and responses from the club and an over-enthusiastic media sensationalism fuelled by papers and social media. During an interview after the Champions League victory, Ronaldo was heard saying: “It has been very nice being at Real Madrid”. When pressed, he said that the future of one player is not important and that the club has made history, but also hinted that he could not guarantee he will stay put at Madrid. Further speculation arose following the new kit launch at the end of May. 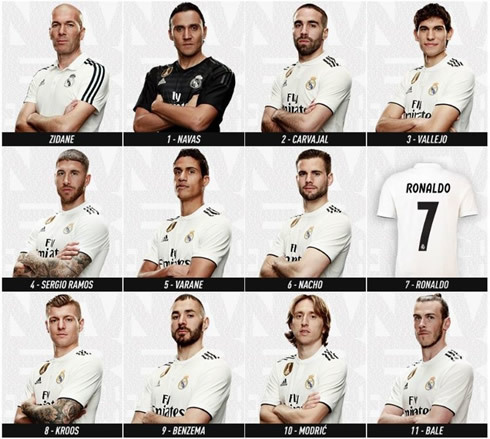 Ronaldo is the only player absent from the photos of the team in the new kit, though his name appears next to the No. 7 shirt. However, this could be due to Ronaldo's commitment to his Nike sponsors back when the team photos were taken in April. This is not the first time that Ronaldo has had trouble with Real Madrid. Back in December, he expressed a desire for a raise after helping Real win the FIFA Club World Cup, feeling that he was underpaid compared to other players of his stature like Messi. 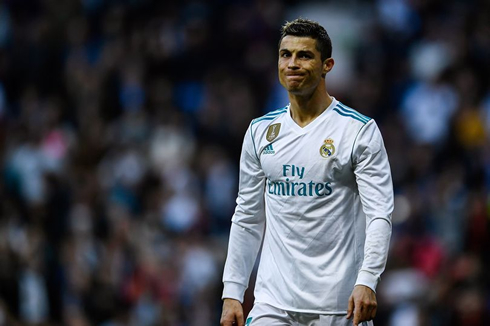 The club did nothing to improve his contract, and Ronaldo allegedly raised concerns with his teammates over this at the time, even suggesting that he might leave at the end of the season. Add to all of this the rumour that Real Madrid are weighing up a deal with legendary striker Neymar, who would seem incompatible and too much of a first-team competitor to sit well with Ronaldo, so fans are left wondering whether their favourite striker is going to make a move. If so, where to? Again, it’s all speculation and should be treated as such, but if Ronaldo was to move from Real Madrid, Manchester United look to be his most likely option. Spanish media outlet Dan Balon say that United are looking to secure Ronaldo in the next 30 days, but are waiting to see what his real intentions are before making a move. 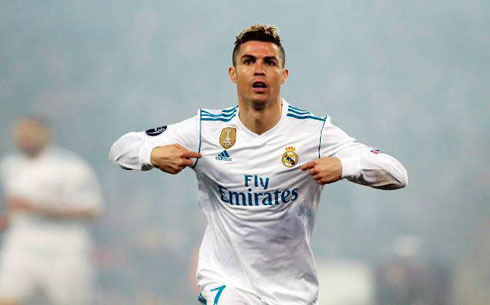 Former Real Madrid boss Fabio Capello also believes that Ronaldo is keen to go back to Manchester United, though he is unsure whether it will be this year. Manchester United themselves need a superstar name — a marketable force to drive sales and fire up the crowds. Wayne Rooney used to play this role, as well as being an influence on the team. Known for his lavish lifestyle and love for the casinos, Rooney once spent around $500,000 in a single session playing roulette and blackjack, but did he sell some shirts! Players like Ibrahimovic and Cantona have been marketable forces in the past. Could Ronaldo be the next for Manchester United — as well as bringing the goalscoring capabilities that they need? Aside from Man United, Ronaldo has also been speculated to move to PSG. The club has shown an interest and they also have Neymar — which could make for an awesome trade! Even Ronaldo's mother hinted that she would like Paris, but would prefer Ronaldo to move to Manchester United if anything. 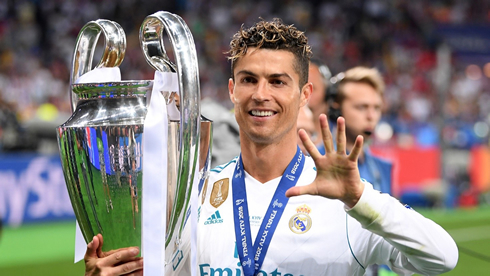 Ronaldo originally asserted that he would elaborate on his comments in "the coming days", but has since seemingly backtracked his statements about leaving. A day later, he said that he was happy at the club and even finished his speech by saying: "See you next year" to fans. President Florentino Perez responded to the comments by saying that Ronaldo is happy at the club and that he will remain. Ronaldo has played for Real Madrid since leaving Manchester United in 2009. That's a long spell of success, including three Champions League wins with the club. Last November, he signed a contract that lasts until June 2021, though it is not unusual to leave before a contract is finished. Football expert Guillem Balague has added his opinion to the mix. He thinks Real will come to an agreement with Ronaldo with regards to a better contract, including wages of €30-33 million and the possibility of the club helping Ronaldo out with his enormous tax bills. Indeed, it is believed that Ronaldo's agent Jorge Mendes first met up with Real Madrid executives back in April to discuss new terms. Some also believe that Ronaldo's late comments were a way of accelerating those negotiations. With the end of the football season comes a lot of transfer speculation. The slightest comment can be blown up into a media sensation. Assumptions are made that rarely come true. Ronaldo could be leaving Real Madrid this summer, though a move doesn't seem unlikely. Ultimately, we have to wait until transfer windows open and offers are made to be sure. Cristiano Ronaldo next game for Portugal is on June 15 of 2018 against Spain. You can watch Juventus live stream, Portugal vs Spain, Argentina vs Iceland, Russia vs Saudi Arabia, Egypt vs Uruguay, and Morocco vs Iran, all matches provided from our live soccer game pages.